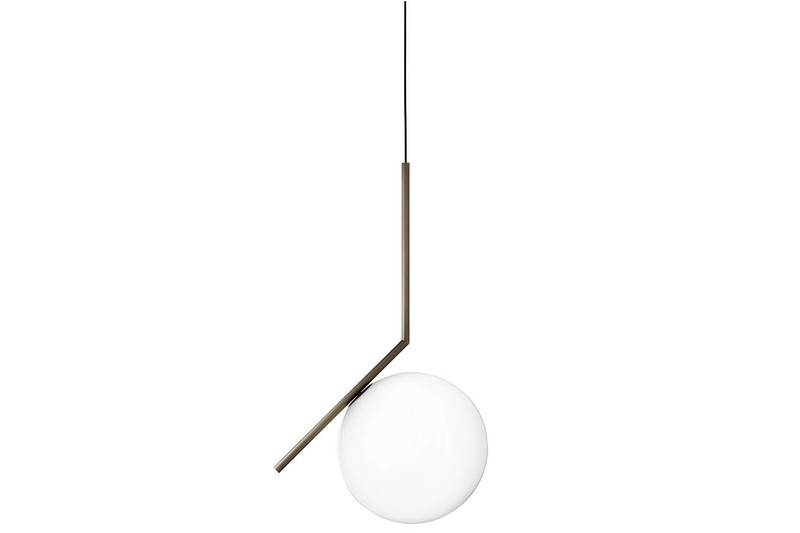 The elegance suspension lamp features an opaline glass ball on a thin steel structure. Frame available in brushed brass or chrome steel. Blown glass opal diffuser. Dimmer on the power chord.